National Federation of UNESCO Clubs in Tajikistan is officially registered in the Ministry of Justice of the Republic of Tajikistan under the registration number 1746 from 16 December 2016. 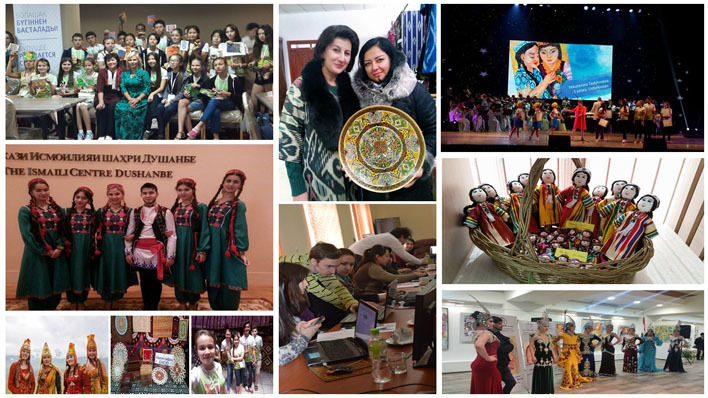 Today the National Federation of UNESCO Clubs in Tajikistan already consists of 21 institutions, with the corresponding status, awarded by the National Commission of the Republic of Tajikistan for UNESCO. The main aim of the Federation is to promote UNESCO's ideals, especially of peace and tolerance, a sense of responsibility for spreading the ideas of peace, as well as projects in the fields of education, science and culture, including meeting the goals and objectives of the national development strategy of Republic of Tajikistan. In January 2017 UNESCO Cluster Office in Almaty in cooperation with the National Federation of UNESCO Clubs of Tajikistan and public foundation "Kloop Media" organized the «YouthMobile» school to develop mobile applications. The training was attended by 12 girls from Dushanbe. The course was based on the open training module developed by the foundation "Kloop Media" in cooperation with UNESCO and international experts in the field of mobile technologies. On the 15th of February 2017 in the Gallery of Contemporary Art in Tajikistan (UNESCO Club) under the auspices of the Embassy of the Russian Federation in the Republic of Tajikistan a personal exhibition of Irina Dmitrieva -Bath "Golden bowl of love" and presentation of the book by Timur Zulfikarov "Golden bowl of love" was held. From 15 to 27 of March 2017 the personal exhibition of the People's Artist of the USSR and Honored Artist of Tajikistan, Mr Komil Yodgor will take place. The exhibition "Creative work for the good of the people" will last for two weeks at the Gallery of Contemporary Art in Tajikistan, with the support of the Ministry of Culture of the Republic of Tajikistan and under the auspices of the National Commission for UNESCO and the National Federation of UNESCO Clubs in Tajikistan. On the 9th of April 2017 the children's sports activities are scheduled in Dushanbe. This event is going to be held by the National Federation of UNESCO Clubs in Tajikistan in cooperation with the «Special Olympics» NGO (UNESCO Club) and "Formula for Success" Organization. Sport competitions such as football, athletics and tennis will be held among 80 children with disabilities and pathologies. The event is dedicated to the International Day of Sport for the peace development in the world, which is annually celebrated on the 6th of April.